Four stars and more than 1300 Yelp reviews couldn't keep a trendy restaurant off Dirty Dining. LAS VEGAS (KTNV) — Four stars and more than 1,300 Yelp reviews couldn't keep a trendy restaurant off Dirty Dining. At least not after an alert customer complained about cockroaches. 13 Chief Investigator Darcy Spears takes us out for lunch in Henderson. 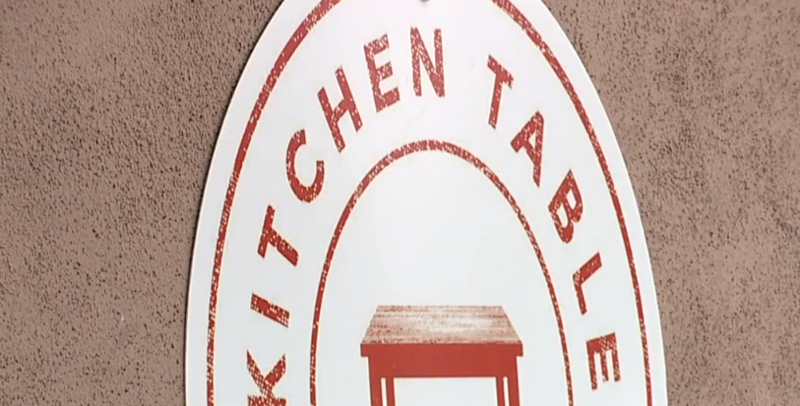 Lunchtime on Tuesday is a buzz of activity at Kitchen Table on Horizon Ridge in Henderson. They're back open after a week-long shutdown for a cockroach infestation that led to closure for an imminent health hazard on March 11. Darcy Spears: It started with a complaint to the Health District and then they came and documented that. I know that it's nothing any restaurant ever wants to deal with, but often has to face. So what can you tell me about that? Summer Shields: Absolutely. Most importantly I want to say thank you to the Southern Nevada Health District for helping us and assisting us in resolving this. Inspectors found multi-generational roaches throughout the kitchen. One roach was crawling on a bag of chips. There was also cockroach feces throughout the facility. The bugs were harboring in exposed wood under the front counter. "By no way was that our expectation and we are actually rather surprised to even see that we had the issue to begin with," Shields said, adding that they've attacked the problem on all fronts. They've been spraying outside, inside... "We've also sprayed down inside the walls because this building is much older. Plus, they re-caulked and replaced some flooring. "We had a professional cleaning company come in and do almost an excavation of sorts." Roaches weren't the only violation health inspectors saw. Poached eggs had to be thrown out after they were found at unsafe temperatures. Same with tortilla soup and chipotle gravy. Utensils were stored in warm standing water and there was no sanitizer in the dish machine. "We actually had our owner come in and he actually did some re-training of our head chefs at both locations to ensure those types of things were also noted." The C grade was Kitchen Table's first. It reopened on March 19 with a zero-demerit A grade and a host of new protocols and procedures. "We're taking extra precautions to make sure that everything is being washed multiple times, boxes are being removed from the property immediately, our garbage disposal is on the opposite side of the parking lot." El Grullo at the Broadacres swap meet on North Las Vegas Boulevard was shut down March 16 for a rodent infestation. Inspectors found rodent feces in all parts of the facility including on coca cola cans, the potable water jug, all floors and shelves. About 20 open bags of peanuts had been gnawed by rodents and contaminated with their feces. Plus, containers with open food were dirty with thick food debris built up on lids and inside containers. We were unable to reach anyone for comment. El Grullo is still closed. Smokey's Bistro brings Dirty Dining to Hawaiian Marketplace on the Las Vegas Strip for the seventh time. Smokey's got a 38-demerit C grade on its March 11 inspection. Violations included a food handler wearing excessively ripped gloves causing bare-hand contact with ready to eat food. There was also Improper handwashing as inspectors watched a food handler use soap for just two seconds before rinsing his hands. There was no hot water at the 3-compartment sink and the kitchen was full of moldy and expired food. Two tubs of hummus were nearly a month old. Slimy spring mix had a use-by date of February 25. Crumbled feta cheese had expired on February 9. Cut cabbage was ten days old. House-made tzatziki sauce was more than a month old and so was a container of cheese sauce. And three bags of slimy spinach dated back to mid-February. There were also moldy tomatoes, cauliflower and broccoli, as well a pink mold in the ice machine. Inspectors found excessive grooves and residual food debris on cutting boards, the deli slicer stored as clean with dried food debris on it ant a dirty grill scraper stored with clean utensils. Knives were stored as clean with dried food debris on them and there was no sanitizer on wiping cloths and no chlorine in the dish machine. Also, avocados and cucumber in the restaurant and oranges and limes in the bar were not being washed prior to cutting. A food handler was wearing dirty clothes and not practicing standards of cleanliness and personal hygiene. Inspectors saw him place a greasy spatula he'd used to scrape the grill into his back pocket. Smokey's Bistro still has a C grade. They say they're scheduled for re-inspection on April 1. The manager said although they were super busy during the inspection, mistakes can't be tolerated. He said they're learning from the experience and working with staff to ensure it doesn't happen again. Blume restaurant on St. Rose Parkway in Henderson was shut down March 13 for no hot water. It reopened March 15 with a zero-demerit A grade. General Manager Daniel Hackett said they'd caught the issue with the hot water that morning and were awaiting their plumber when the health inspector arrived and shut them down. He added that the problem was quickly fixed with the purchase of a new, larger water heater. Holy Macro's food truck was at Touro Medical University when it was shut down March 12 for no water. The tank that supplied the truck was found to be empty. Despite that imminent health hazard, an employee in the food truck was cooking and serving customers. The only sanitizer bucket was extremely soiled and filled with milky water. The inspector noted that while explaining the closure to an owner over the phone, the man became argumentative in regards to the closure and fee and stated he "is coming down there" and immediately hung up the phone. The inspector was instructed by a supervisor to leave and complete the report off-site. Holy Macro reopened with a zero-demerit A on March 15. Another business partner told Darcy Spears, "We're a food truck and things happen. We're new and we're learning. The truck tank leaked on the way to this location and our employee made a mistake by not closing down."